You can tell baseball has reached mid-season because the Reds and other major league teams are addressing their plans for managing the innings load of their starting pitchers. Conventional wisdom is that teams shouldn’t allow young starters to throw a bunch more innings than the year before because it increases their susceptibility to injury. The Reds seem intent on using several young pitchers in the next few months with recent or upcoming promotions from the minor leagues. So innings limits may become a significant issue. Brandon Finnegan has made 18 starts and pitched 101.1 innings. Combining his minor league and major league innings for the Reds and Kansas City Royals last year, Finnegan threw 105.1. 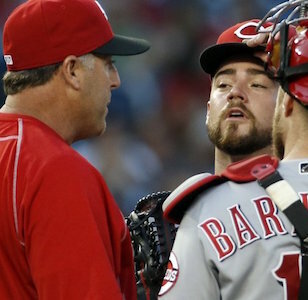 If the Reds let him continue to pitch on his turn for the rest of the season, he would make another 14 starts. At six innings per start, that would raise his total to 185, a huge increase over his 2015 workload. Finnegan admits his arm felt fatigued in his two most recent starts. Brandon Finnegan is the most extreme case, but other Reds pitchers could easily blow through their number from last year. Dan Straily pitched 139 innings last year and could reach 190 in 2016. Cody Reed, Robert Stephenson and Amir Garrett each threw 134-145 innings last year and could hit 173-184 this year. Anthony DeSclafani and John Lamb (and Homer Bailey, sigh) were held back enough by injuries that their innings total won’t be a concern. In his recent book The Arm Jeff Passan of Yahoo Sports notes that the pitching arm is the most valuable commodity in sports. MLB loses half a billion dollars a year to injury. 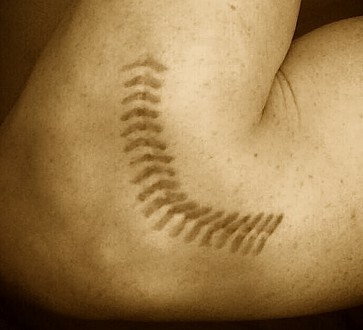 25 percent of major league pitchers have had Tommy John surgery to reconstruct their ulnar collateral ligament (UCL). The risk of arm injuries has been a painful reality since pitchers began throwing overhand in the 1880s. Yet, as late as the 1970s and 1980s, starters would regularly throw complete games and lead the league by completing 300-350 innings. Not every promising pitcher could sustain that level of use. Check out the careers of Gary Nolan, Don Gullett and Sandy Koufax for examples. Today, young pitchers are put at risk by year-round baseball and the almighty altar of pitch velocity. Nearly two decades ago, Tom Verducci, baseball writer for Sports Illustrated, began warning clubs about the risk to young pitchers who had significantly increased their workload from one season to the next. Verducci claimed an increase of 30 innings created heightened jeopardy for significant injury and/or performance decline the year after. His theory became accepted knowledge with its own name, the Verducci Effect. Predetermined innings limits have become a popular strategy for professional organizations to handle their pitchers. The practice has received an elevated share of publicity the past few years as big-market clubs faced harsh dilemmas about how to handle elite young starters during their runs for the postseason. The Washington Nationals treatment of Stephen Strasburg in 2012 and the New York Mets handling of Matt Harvey last season are infamous examples. Last season, Clayton Kershaw led MLB with 232.2 innings pitched. But do workload restrictions, like innings limits, prevent injuries? The basic idea seems logical. A smaller workload reduces the risk of ligament fraying by controlling overuse. Fraying can lead to tearing of the UCL. Shoulder injuries are a separate problem linked to overuse. The theory behind innings limits has a simplistic appeal. Counting pitches and innings toward fixed targets seems like a practice based in research. The limits are easy to understand and implement and have the shine of rigor. Following objective rules like “no more than 110 pitches” or “no more than 30 extra innings” takes human judgment about individual pitchers out of play and, more importantly, out of question. Baseball front offices, managers and agents have accepted the validity of innings limits as an article of faith. But workload rules don’t seem to be working. Their widespread use creates the illusion of knowledge, but the benefits aren’t supported by research. It turns out the Verducci Effect is pretty easy to test and discredit. Several studies using a variety of methodologies [David Gassko (2006); Derek Carty (2012); Jeremy Greenhouse (2010); J.C. Bradbury (2010); and Russell Carlton (2014)] have largely debunked it. Recent research by Dr. Thomas Kerakolis found there was no correlation between workload metrics and future injury risks. He and his colleagues studied 761 pitcher seasons and workloads at the AA and AAA levels. According to their research, relying solely on innings limits doesn’t prevent future injuries because innings are a poor proxy for stress placed on a pitcher’s arm. No two pitchers are alike, some may tire after 40 pitches, while others can throw 120. Different pitches — fastballs vs. sliders, for example — create different stress. Counting innings and pitches is not a sensitive enough measure. “Blanket innings limits on pitchers, or pitch counts, that’s not going to get you the results you’re looking for in terms of reducing the number of injuries,” says Dr. Karakolis. Conservative innings limits and pitch counts can even have a negative effect if they take the place of preparing pitchers to handle heavy workloads. When pitchers no longer train to throw 120+ pitches in a game their arms may be more susceptible to overuse injuries. Dr. Kerakolis concludes that while restricting workload is necessary because pitcher injuries are often caused by overuse, a better approach would be evaluating risk with bio-mechanical analysis and implementing tailored strength training programs. The idea behind individualized bio-mechanical analysis is that a pitcher’s unique motion — the kinetic chain — can be evaluated to see if it places undue stress on his joints. Does the pitcher get into the right position at the right time with the right sequence of movements? Recent advances in motion analysis and data science have given analysts better understanding of the exact source and nature of the stress on both the shoulder and elbow during throwing. Read about this and you’ll be introduced to terms like foot strike, arm lag, and valgus stress. You’ll start to appreciate timing, sequencing and the importance of pitchers using the large muscles in their legs and torso rather than the relatively smaller ones in their arm. For decades, fathers, scouts and coaches have evaluated mechanics at 32 frames per second, top speed for the human eye. Today, thanks to the use of more advanced technologies, a pitcher’s motion can be analyzed at 1,000 frames per second. Labs like the American Sports Medicine Institute in Alabama, founded by Dr. James Andrews, use cameras and computers to track three-dimensional data from sensors attached to the pitcher’s body as he throws. The process has been compared to an MRI of the pitching delivery. It offers detailed reports that diagnose problems with an individual pitcher’s mechanics. New companies are bringing the lab to the ballpark. Motus Global manufactures mThrow, a biomechanics compression sleeve that provides dozens of measures of pitcher performance and fatigue in real time via Bluetooth. Motus continues to improve the sleeve’s design – making it smaller and less intrusive – based on research with pitchers. The company is now offering professional baseball organizations a full body system that estimates joint angles, velocities and other parts of the kinetic chain. mThrow, and three other biometric devices were approved by MLB’s rules committee to be worn on the field in 2016. It turns out that poor mechanics are a larger factor in pitcher injuries than overuse. Pitch and innings limits cannot shield UCLs or shoulders from unsound delivery. On the other hand, careful monitoring with available technology can help fix mechanical flaws and forestall fatigue. If you ask any major league organization how it prevents pitcher injuries, it almost certainly will cite a combination of pitch and innings limits and bio-mechanical analysis. Gone is the out-of-date thinking represented by blanket, one-size-fits-all pitching regimens. Teams do recognize that every pitcher is different. But like other areas of change in baseball, major league teams embrace modern injury prevention strategies to varying degrees. Teams say they use individualized approaches, but the exact role in plays varies tremendously from club to club. Many remain content to be unscientific about pitching arm health. As of last year, only 27 of the 30 major league organizations were using the basic mThrow sleeve, even in spring training. Major league teams as a group have not fully embraced the hard reality that science can locate flaws in mechanics and address them. Meanwhile, the phony science of innings limits gets too much play. Relying on the human eyes of coaches is a recipe for failure. Most major league pitching coaches don’t have scientific backgrounds and don’t speak the language of bio-mechanics. They aren’t capable of identifying and correcting these problems on their own. Pitching coaches tend to be more concerned with pitch charts and video on opposing hitters. They may be reluctant to tinker with the mechanics of major league pitchers earning enormous salaries. If they recommend any change, it generally concerns increasing deceptiveness. “Baseball is a game of failure coached by negative people in an environment of misinformation,” said Tom House, former big-league pitcher who now heads the baseball research institute at the University of Southern California. To be sure, some organizations are aggressive about biometric analysis. The Seattle Mariners require every pitcher to undergo analysis of their pitching motion each year to identify mechanical risks. They target pitchers with issues in their delivery and work with them on specific metrics, like release points and arm angle, for weeks in the spring if necessary. And it’s not just the big-budget teams who pony up for biometrics. Money doesn’t limit the acquisition of knowledge. The cost of science is dwarfed by the cost of injuries. The barrier is insufficient willingness to accept new ideas. The small-market Milwaukee Brewers were the first team to have all their pitchers undergo bio-mechanical analysis. They were the only team to have no Tommy John surgeries on their major league pitchers for five years. Teams that aren’t all-in on new methods suffer a competitive disadvantage. “It’s science and the competitive advantage of knowing what your players are doing vs. other people not knowing what their players are doing,” said Glenn Fleisig, a Ph.D. in bio-mechanical engineering and director of the ASMI. To make matters worse, teams guard their arm health protocols as proprietary information instead of cooperating to figure out how to prevent these injuries that are ravaging their sport. Common sense and purpose are thwarted by competition and greed. For example, the Dodgers this year hired researcher Dr. James Buffi, author of a cutting edge study on the importance of muscle strength in preventing arm injuries. Buffi’s ongoing research now benefits only one team. Brandon Finnegan will likely end the year in the bullpen or on shutdown based on concern for overuse. 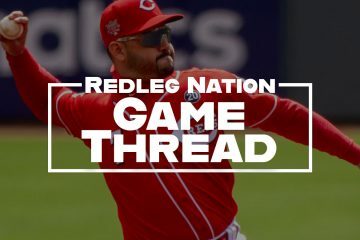 Before the year is out, the Reds may also face difficult calls about Dan Straily, Cody Reed, Robert Stephenson and Amir Garrett. The lesson here is that there is a lot more to keeping arms healthy than watching pitch and innings counts. Those are less important considerations than factors like delivery mechanics. Pitching arm health is a complex problem that needs multi-faceted solutions like individualized strength training and mechanics drills. Great decision-making is built on excellent information. Otherwise, you’re throwing darts. Helpful bio-mechanical data is out there. Other teams are using it. As a fan, you hope the Reds are taking maximum advantage. You hope they aren’t straddling a commitment to science, with one elbow stuck in the past and one elbow in the future. Wholehearted use, not lip service. Maybe they are. At a minimum, the team’s top young pitchers should undergo a complete, annual bio-mechanical analysis. Make it an element of the spring routine and go from there with tailored strength and mechanics training. Monitor development and fatigue with new technology like the mThrow sleeve. To dismiss easy steps like these seems penny wise, pound-of-sutured-flesh foolish. Joey Votto and a knee MRI come to mind. Does exit velocity matter for pitchers? Excellent analysis. That’s what’s so great about baseball—any body type can participate. Unfortunately, this makes blanket judgements about workloads meaningless. I think the use of body monitors that track arm speed and stress loads in-game is the final frontier. Can’t wait to see the research on that. Fascinating information. This new technology is fascinating too. I have not bought into the innings and pitch limit arguments. Maybe for recovering TJ players, but not healthy ones. The MRI of the pitching delivery and the mThrow sleeves are the way teams should go. Like the concussion protocol, get a base line measurement before spring training and use it for analysis against periodic checks during the season. When managers start getting real time information in the dugout on spin rates and pitchers motions being out of alignment we will see significant changes in the way the game is played. We are at the inception of the Information Revolution in baseball. Perhaps the Verducci Effect should be renamed the Carbonaro Effect? Nice work Steve. I kept waiting to read to what degree the Reds are utilizing this new data, but it looks like they are being tight-lipped. Good info to know and well presented. It brought to mind Mike Marshall who I generally associate with the Dodgers although BBRef says he played in more games as an Expo as well as spending more time with fewer appearances with a another team or two of the 9 overall he played for. Marshall has PhD in kinesiology and has long stressed the importance of the pitching motion in avoiding arm injuries. In his career year with the Dodgers (1974; NL Cy Young winner), he pitched over 200 innings all out of the bullpen. According to some sources, he was instrumental in getting Tommy John and Dr Jobe hooked up; and, we know what came of that. I wonder how his specific theories wash with the newer research. If someone like Chapman could pull off that sort of appearance and IP rate today, it might reframe the issue over whether starters are necessarily more valuable than relievers. Interesting point Ohio. Bullpen management is crazy right now. Current top-of-the-line relief pitchers don’t even pitch 100 innings. Here are some career highs. Craig Kimbrel 77, Andrew Miller 62.1, and Aroldis Chapman 71.2. Contrast with Bruce Sutter who has a high of 122 and topped 100 innings five times. Clearly mechanics are the main issue, but when people get tired they change mechanics to compensate. What they really need to do is take people out when they are tired. This is tough with alpha males but has to be done. Harvey in the WS last year is an example, he begged to pitch the 9th then proceeded to walk the first guy. They left him in to get shelled. Now his arm is shot this year. when people get tired they change mechanics to compensate. Just one example but yes, pitchers do often change mechanics when tired. It makes sense that this could lead to more injuries. Without being flip, I love the pitching skeleton. MLB should cut its regular season to a 145 game schedule. The demographics of baseball don’t look good in 5 years. Be proactive, give the players more rest, take some more school nights in April and September off , start the season April 10 and end it by October 15th. What does the “demographics of baseball don’t look good in 5 years” refer to? The Reds re-boot, rebuild, or whatever you want to call it so far is invested heavily in young pitchers. No one knows which, if any, of these young pitchers is going to prove to be a top notch performer. Preventing loss to injury will at least allow the team to harness the best of what they develop into. I certainly hope they are protecting that investment by implementing biomechanical analysis. 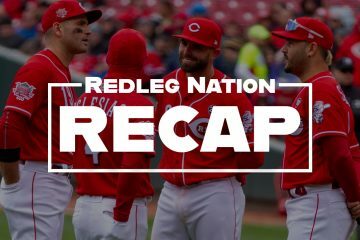 The mention of Don Gullet and Gary Nolan in this article reminds me of of the potentially great pitchers the Reds lost to injury in years past. The organization should be well aware of the cost of injury to pitchers arms. Steve, great work as always. Your efforts are always appreciated. Too bad we can’t learn from a biomechanical analysis of a guy like Ferguson Jenkins. He topped 300 innings five times. This is a great article Steve thank you for the write up. Baseball is a game of millions of dollars for players and billions of dollars for owners. Now, you tell me. If you grew up in a household where combined your mom and dad made say 100,000 a year over 20 years their combined income registered at 2,000,00. You got to watch your mom and dad go to work, slave all day and come home to you world weary. You come along in your teens you see the chance to make millions. Well of course you take it. These kids really are over throwing for their chance to make millions. I believe that is what is going on. Nobody is allowed to be overused these days like Mark Fidrych was back in our glorious year of 1976. Now kids using science have learned how to overthrow. If a kids physical limitations are throwing a fastball at 96 mph the safety level is probably really around a pedestrian 91 or 92 mph which would also probably mean he would never get his shot at the Bigs. As usual, great writing and research. It’s interesting, though, that pitchers of previous eras routinely threw more pitches per game and more innings per season than they have in recent times. And this without biomechanical analysis, the value of which I do not dispute. I think Dan has a bit of a point above when it comes to velocity. Pitchers are throwing harder than ever. Everyone is throwing maximum effort for the most part, or it seems so. Also, while new training methods have strengthened the muscles in the arm, they are not able to strengthen ligaments and tendons in the arm. Therefore, the stronger muscles are able to exert more force on tendons and ligaments that are basically not capable of taking that much stress. I think that’s part of why we see more injuries these days. Steve this is fantastic. I think it should be submitted to Fangraphs, MLBTradeRumors, and a few other sites for linking there. This info is as good as any that I’ve read on any baseball site. Great stuff! Great article, Steve. It’s so evident that there’s more to pitcher injuries than just workload, yet amazingly teams are not willing to embrace new information. I would love to Homer Bailey’s biometric imprint. There has got to be a reason he can’t stay healthy. Slept in a Holiday Inn Express all weekend. You guys should do a podcast with Don Gullett and Chris Welch on pitching mechanics and injuries. Gullett will talk pitching all day and is a mechanics expert. He threw “across his body,” which he now believes hurt his arm, and he would be interesting to hear. The stress on arms, as I understand it, comes not from effort of throwing, but from the violent, sudden stopping of the arm after the throw. In other words, a pitcher releases the ball, but only has about a 6-foot arc in which his arm speed must slow to zero. It stands to reason that if a pitcher’s whole body is not perfectly aligned to absorb this sudden deceleration, then its stress will by default be felt in the arm. I would start applying this at Rookie level. The sooner mechanics are straightened out, the better.